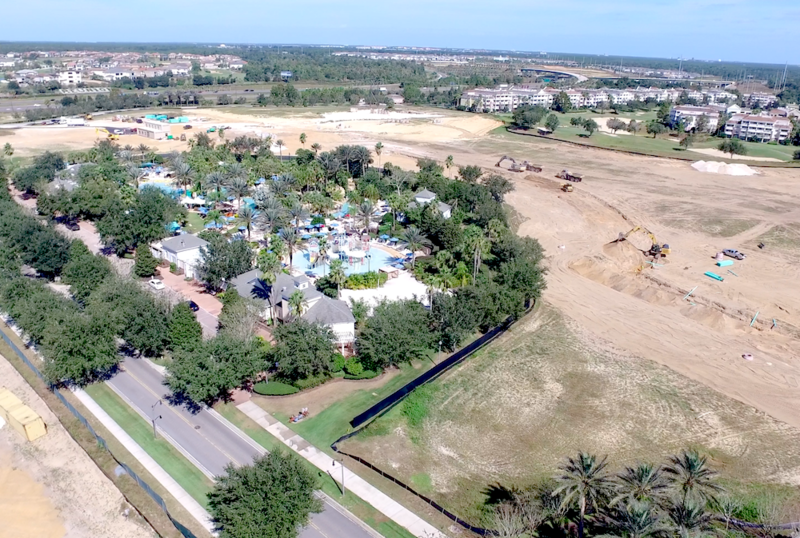 We took to the skies today to bring the latest video update of the new home site being cleared behind Reunion Resort’s water park. No details have been provided yet, but what appears to be the site sales center is being prepared for future home buyers. The expanse of the construction development not only surrounds the entire water park itself, but also covers the area adjacent to the current water park parking lot. From our understanding, the large project by Encore, is planned to provide a range of town homes for residential and short term vacation rental use. Contact us and be first to hear the news about owning a home right on the edge of Reunion Resort’s stunning 6 acre water park! Previous Reunion Resort’s Magical Dining Menu!